A local organization is providing home-grown produce to families that can’t procure it on their own, a significant population in Richmond where one in four residents could be living below the poverty line, according to the U.S. Census Bureau. Founded in 2008 by United Methodist Urban Ministries of Richmond, Shalom Farms serves as a regional produce provider and volunteer training project. UMUMR’s mission of healthy living and community service was inspired by the need for sustainable food production, as many Richmond-area families lack access to fresh and healthy food options — which are typically more expensive than unhealthy, processed foods. Hannah Wittwer, the volunteer manager at the farm, said working with people of all ages and backgrounds is rewarding. Volunteers make up a significant portion of the Shalom Farms workforce, investing more than 17,000 hours at the farm in 2017. One local group that has provided Shalom Farm with volunteers is UKirk at VCU, a Presbyterian campus ministry. Students help at the farm as part of their service-centered mission. VCU alumna Victoria Gimmi described her experience volunteering as almost surreal. UKirk Campus Minister Alex Fischer said service is at the heart of the ministry. 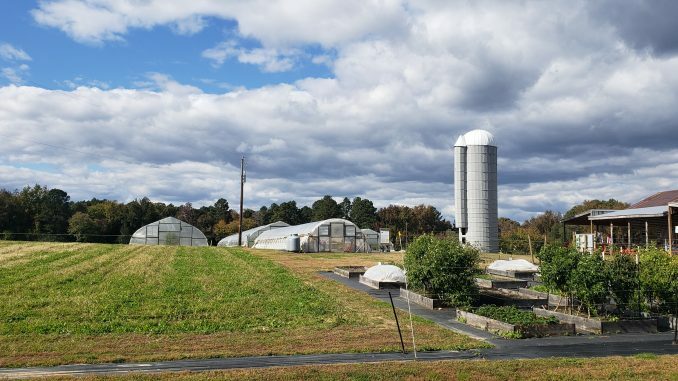 Currently, Shalom Farms occupies a 12-acre farm in Midlothian. In 2017, the farm hosted nearly 1,400 educational visits while growing and distributing more than 500,000 servings to those in need. The organization also recently began work on a new 5-acre farm in Richmond’s northside. In a flash fundraiser, Shalom Farms raised $70,442 from Nov. 14 to Nov. 15 by matching every donation up to $25,000 — exceeding its yearly goal of $70,000. The money fundraised allows the farm to teach more classes, grow more produce and provide more meals. Information about volunteering at Shalom Farms can be found at shalomfarms.org.